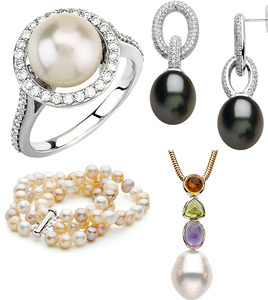 Jewelry has been around since the dawn of time, although most early jewelry was made of bone, stone, shells and mother-of-pearl. 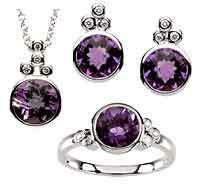 Gemstone jewelry appeared in the time of the Egyptians. Elaborate jewelry has been found in the tombs of the Pharaohs. 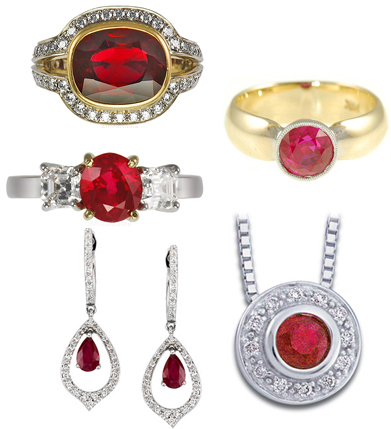 Favorite gemstones of the Egyptians included carnelian, jasper, quartz, turquoise, lapis lazuli and malachite. 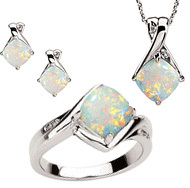 Ancient Mesopotamian craftsmen produced gemstone jewelry using thin metal leaf. Most of the gemstones used, such as lapis lazuli, agate, carnelian, onyx and jasper, had to be imported from places like Persia and Egypt, as they were not found locally. 1600-1400 BCE marked the entrance of gold and gems into Greek jewelry. 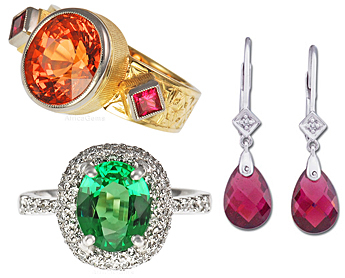 Colored gemstone jewelry hit its stride by around 300 BCE. 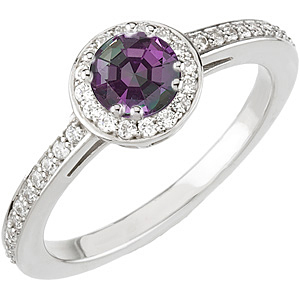 Greeks used amethyst, pearl, emerald, ruby, sapphire, topaz and other gems, many of which were imported from places as distant as Sri Lanka and the Far East. 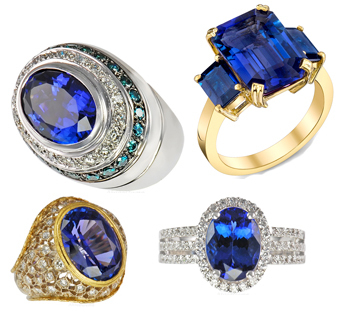 Greek gemstone jewelry was often intended to give the wearer protection from the Evil Eye or imbue them with other supernatural powers. 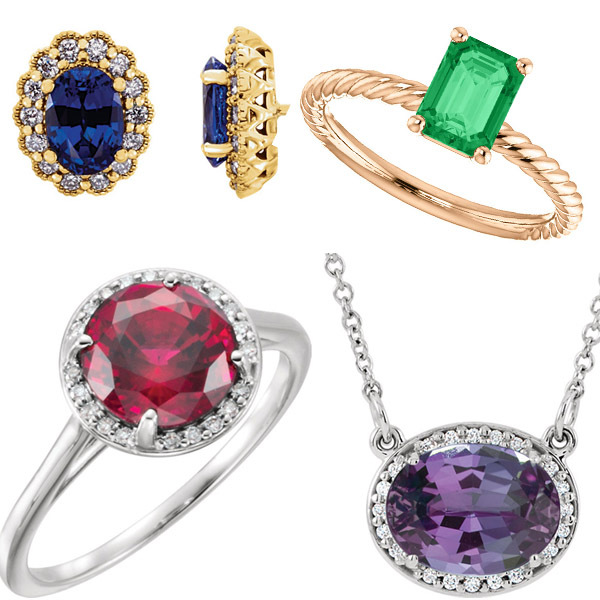 Gemstone jewelry was rarely worn for everyday use, and instead used for public appearances or special occasions. 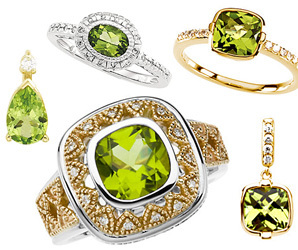 India is blessed with an abundance of natural gemstones. By the 6th century BCE India had its own classification of precious and semi-precious stones, which was reflected in its jewelry. The nine �major gems� were representative of the heavenly bodies: Diamond (Venus), Ruby (Sun), Emerald (Mercury), Topaz or Yellow Sapphire (Jupiter), Garnet (Rahu), Blue Sapphire (Saturn), Pearl (Moon), Red Coral (Mars) and Cat's-Eye Chrysoberyl (Ketu) as nine stones. 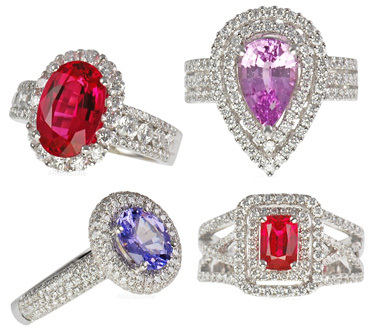 They were often set together with the ruby (representing the sun) at the center. 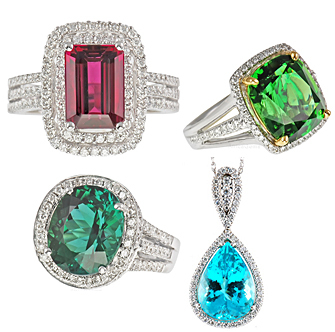 These highly symbolic pieces of gemstone jewelry were called Navaratna, and were often worn by Indian kings. 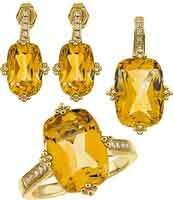 Ancient civilizations in South America had a limited range of gemstones to use in their jewelry. Jade, turquoise, obsidian, onyx and serpentine were used, set in a wide range of metals. 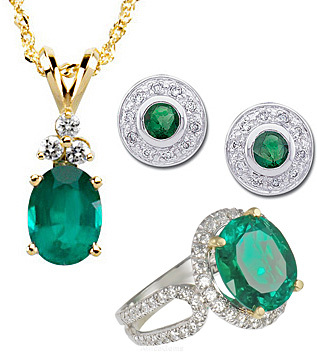 While Colombian emeralds are famous today, they were found primarily in the Magdalena Valley in Columbia, and did not spread much farther, so emeralds were not a focus of South American gemstone jewelry. The most prized gemstone used in Chinese jewelry was jade, due to its beauty, durability and hardness. 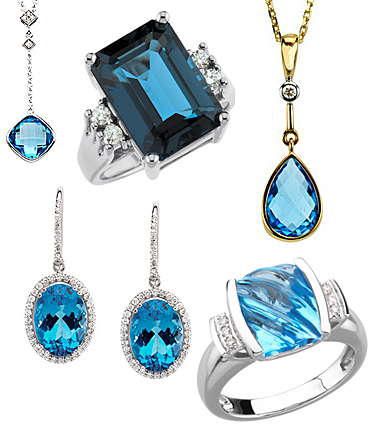 Blue gemstones were also used in Chinese jewelry. Persia sat right on the path of the Ancient Silk Road, and was privy to a wide range of gems from all over the world. Persia itself had a significant number of locally available gems, including carnelian, turquoise, lapis lazuli, amethyst and pyrite. From their position at the crossroads of international trade, they were exposed to many different styles and cultural motifs. 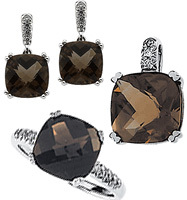 The gemstone jewelry found in burial sites like Tillya Tepe reflects that diversity. 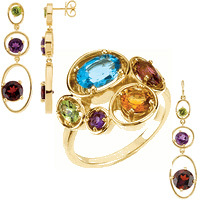 Roman gemstone jewelry featured pearls, emerald, peridot, carnelian, jasper, lapis lazuli, onyx and amber. Ancient Rome saw the advent of the signet ring, a ring set with a carved semi-precious stone that would be used to imprint the wearer�s emblem in hot wax to seal significant documents. Jewelry in the Middle Ages was primarily talismanic. 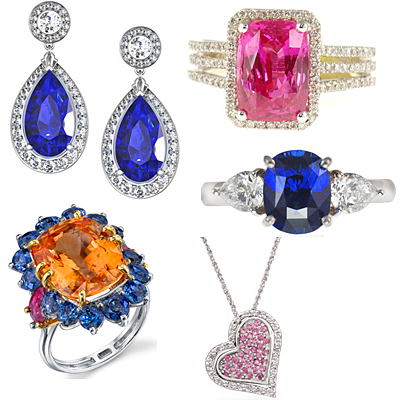 Gems were used to heal illness, ward off the evil eye, or bring good fortune. 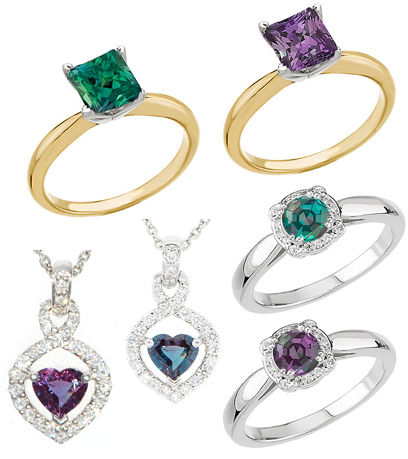 Gemstone jewelry as a status symbol or a decoration was reserved for the ruling powers - more as a result of lack of income and ability than as a result of decrees to that effect by the rulers. 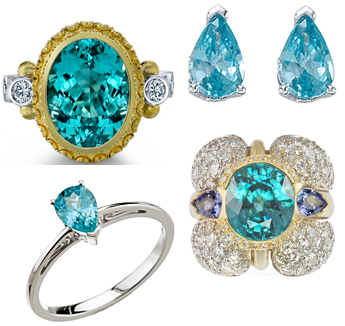 The Renaissance saw the return of gemstones to Europe. The Age of Colonialism brought exotic gems from Central and South America, Africa and Asia into the treasuries and markets of Western Europe. 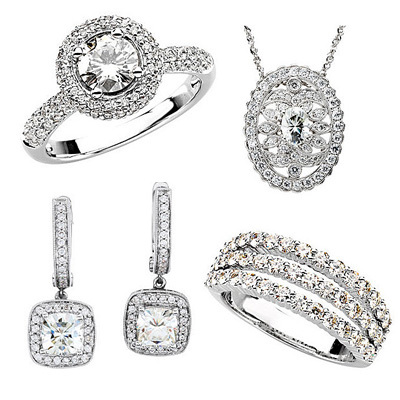 An increasing focus in jewelry was put on the gemstone and its setting. 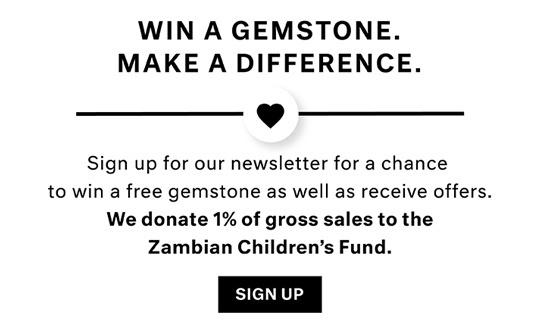 In the 19th century, the craftspeople of gemstone jewelry shifted from individuals (often with nobility as their patrons) to companies and studios. 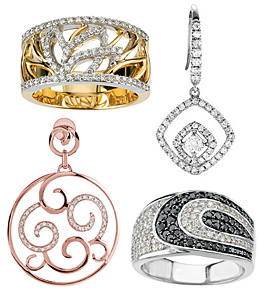 Tiffany & Co. was founded in 1837; Cartier SA in 1847 and Bulgari in 1884. 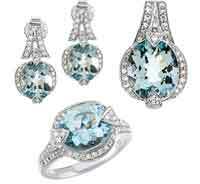 Once the privilege of royalty, the luxury of gemstone jewelry has become increasingly more accessible to the public. 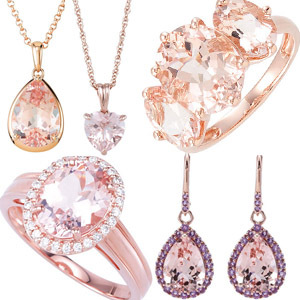 In the 21st century, gemstones from all over the world are available to the discerning jewelry consumer.